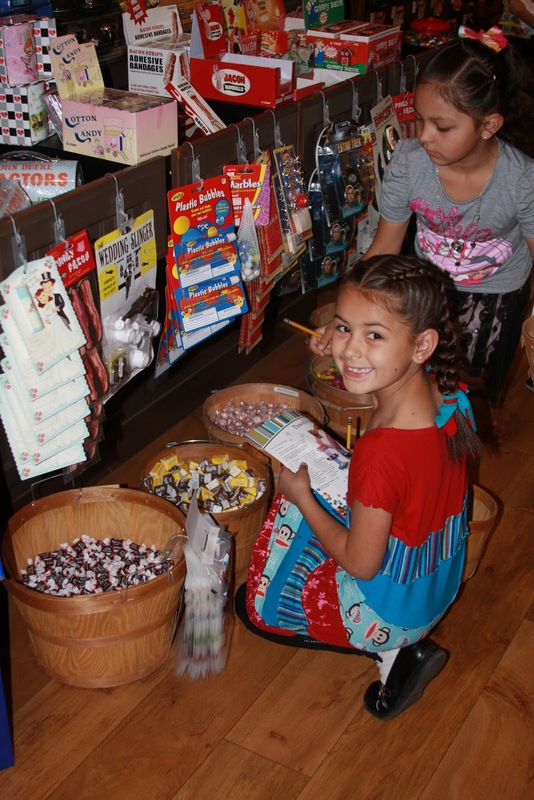 Have you ever dreamed of the candies you enjoyed as a kid? Well you can still get it. At Powell's Sweet Shoppe! 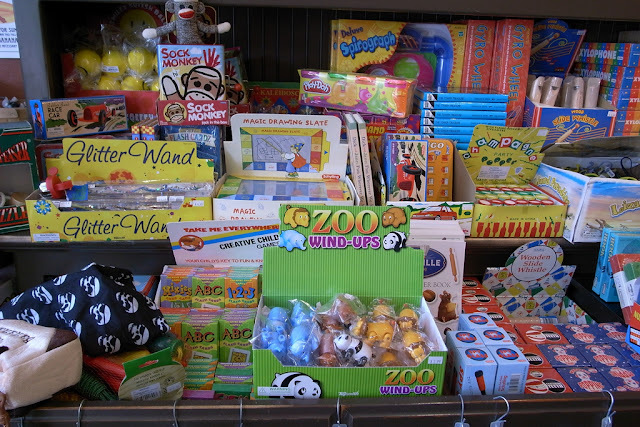 Powell's Sweet Shoppe from Mike Miller on Vimeo. On the surface we sell ice cream and sweets, but you don't have to stand in the Shoppe too long before you realize that what we really offer are memories. "I feel like a kid in a candy store!" and "I haven't seen that since I was a kid!" are far and away the most common things we hear. And that is precisely our goal. We want to walk our customers down memory lane and remind them of good things and good times.Content taken from Powell's Website. Look at how cute she is by her Candy Board! LOL All the kids were able to draw pictures and their names on the board too. They loved it! 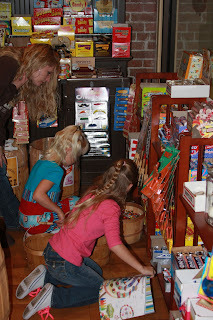 I was fortunate enough to have a my daughters birthday at Powell's Sweet Shoppe in Chico, CA It was an amazing experience not only for my daughter and her friends, but for all the parents as well. We were truly kids in a candy store that day. It was so fun browsing through all the candy. Candies I have not seen since I was a child. 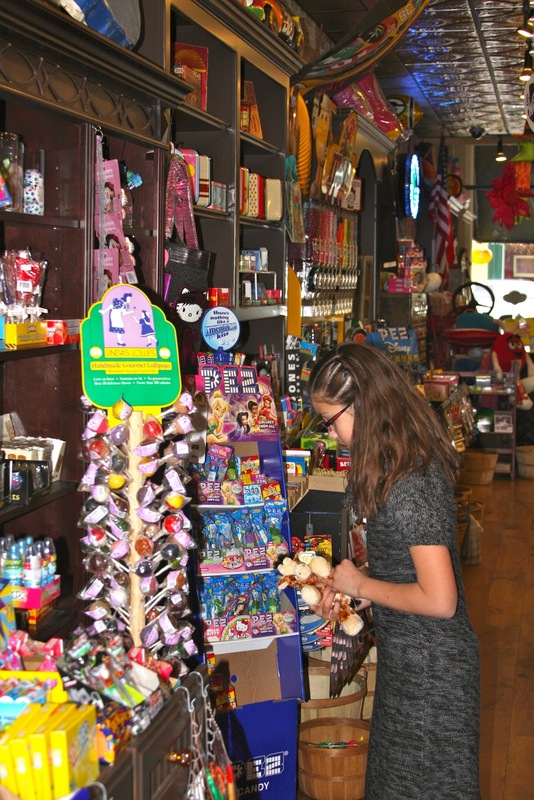 Many candies that you can only get in specialty store. Mostly over the internet. 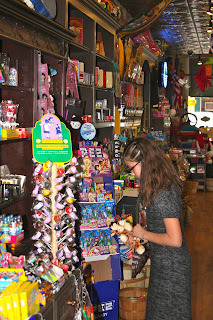 Powell's Sweet Shoppe was one of the best places we have gone to for a birthday party. 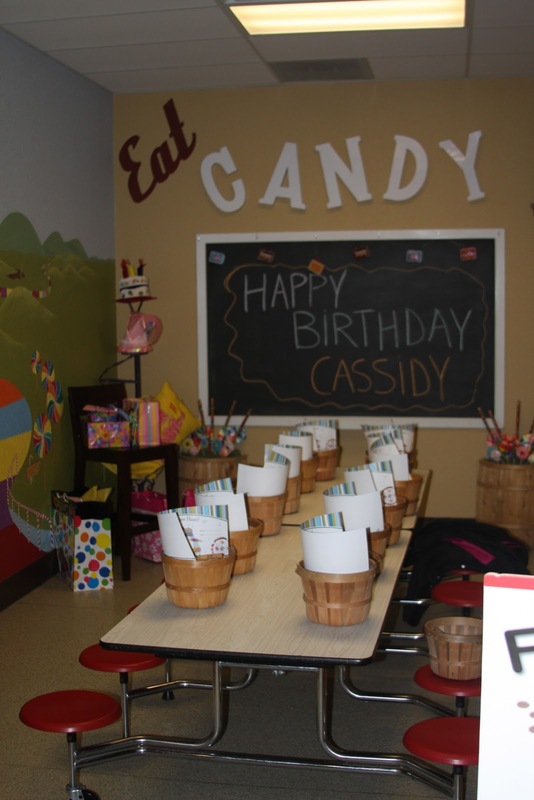 The party events....each child is given a candy scavenger hung paper, bucket and pencil. They get to go through the store searching for all the candies on the list. This is not just a few candies, these kids go home with a bag full. We were amazed at what they brought home. 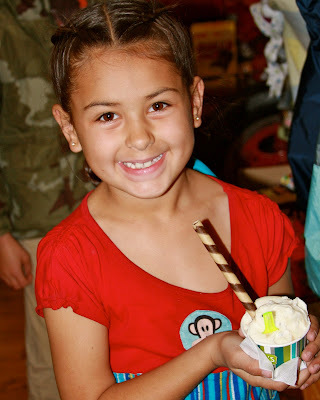 Here are a few pics of the kids having fun around the shop. 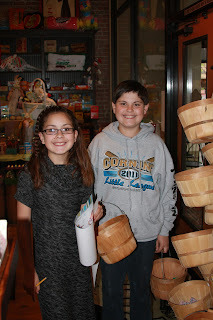 After the scavenger hunt the kids went to the Gelato counter. Each picked their own flavor and headed back to the party room. All in all, we loved the party we had at Powell's and definitely recommend that you have your next party there.